This 'Around The World' Paper Collection from Stamperia is brought to you from Budapest, Hungary. It is a collection of ten (10) double sided papers that includes Tags, Journaling Cards and Labels in the Paper Pad. Believe me this Paper is Beautiful, Lovely and Delightful to the touch. 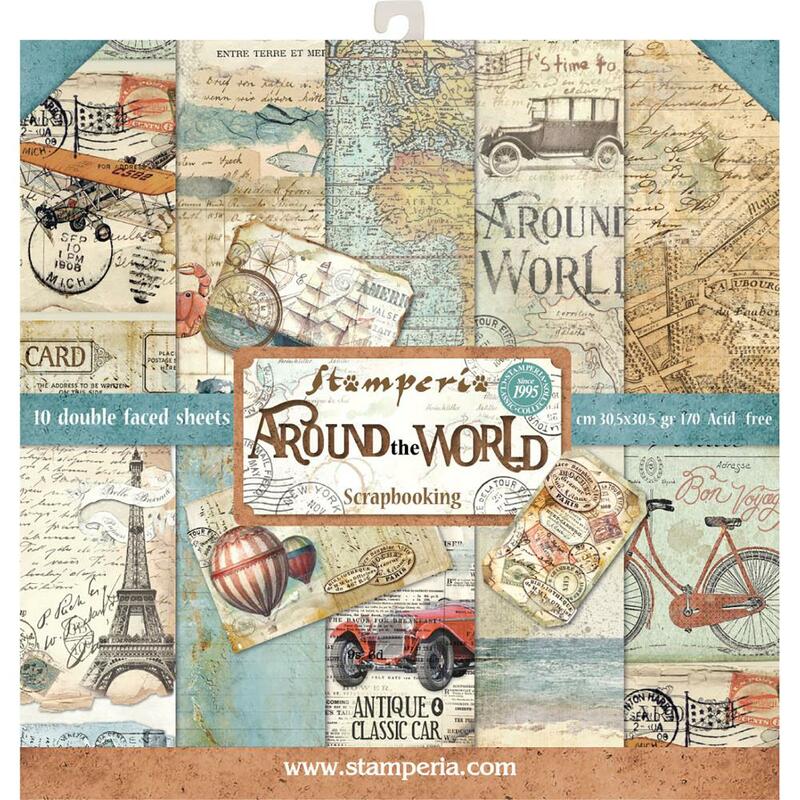 Around The World Collection by Stamperia. All I can say is this paper pad isn't big enough!